Big day today for Mad Fat Fabulousness all over the world! I tell y’all what… It’s a Mad Fat Magnificent Day today! Why? 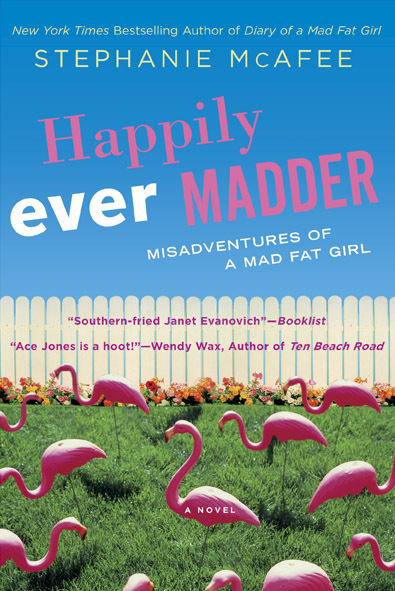 Because today is the day that Happily Ever Madder: Misadventures of a Mad Fat Girl hits unsuspecting bookshelves all over the good ol’ US of A! I’d like to say one more time how much I appreciate everyone who bought Diary of a Mad Fat Girl -the Penguin/NAL copy and the ninety-nine cent version that I self-published. I wouldn’t be having this Mad Fat Magnificent Day if it weren’t for my wonderful readers –all of whom must have a buck wild sense of humor! I appreciate y’all more than you know! Thanks also to everyone who preordered Happily Ever Madder and to everyone who is going out to get a copy today (or tomorrow or next week, etc. etc.). Alrighty then! So let’s go jump on the Ace Jones Crazy Train…. Again! There’s another one coming in July of 2013!